Denise B. Prince, System Vice President of Value-Based Care and Vice President of Population Health at Geisinger Health System, was awarded the Dan Foss Heritage Award at the Greater Susquehanna Valley Chamber of Commerce’s (GSVCC) annual meeting in March. Ms. Prince has represented Geisinger Health System in the GSVCC for more than 10 years and has served as a Director, Chair and Past Chair of the Board of Directors and a Member of the Executive Committee. In addition to being noted as a hard-working volunteer dedicated to strengthening the communities he or she lives and works in, the recipient also receives a Chamber logo pin made of emeralds and sapphires. The pin symbolizes outstanding commitment and leadership within the Chamber and a dedication to the growth and prosperity of the Valley. The Centennial Campaign raised more than $171 million to advance Geisinger patient care, community service, research and education. It concluded on Sept. 30, 2015. 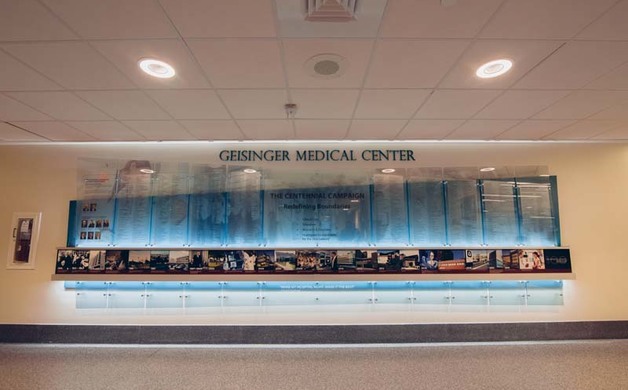 Donor walls were unveiled at Geisinger Medical Center, Geisinger Community Medical and Geisinger Wyoming Valley (GWV). Campaign co-chairs Frank Henry and Bob Tambur were also honored for their dedicated leadership at the GWV event. Campaign goals included expanding high-quality care even closer to home for more patients; supporting Geisinger healthcare professionals with educational programs of excellence; leading the way in cutting-edge research; investing in critical capital projects, and leveraging technology for even greater patient access throughout the system. Geisinger Health System’s research effort has been accredited by the Association for the Accreditation of Human Research Protection Programs (AAHRPP), the Washington, D.C.-based organization announced Thursday. Geisinger is one of eight newly accredited organizations to have demonstrated its commitment to protecting human subjects in research. Geisinger now joins such organizations as the National Institutes of Health, the Baylor College of Medicine, and global pharmaceutical giant Pfizer in holding AAHRPP accreditation, which denotes a commitment to quality surpassing that of state and federal requirements. To earn the accreditation, organizations must not only adhere to high standards of research, but demonstrate that they have built extensive safeguards into every level of their research operation. Geisinger’s Human Research Protection Program comprises the Institutional Review Board (IRB), the Office of Research Compliance, the Office of Sponsored Projects, and various oversight, education, and quality assurance review units, including program administration. 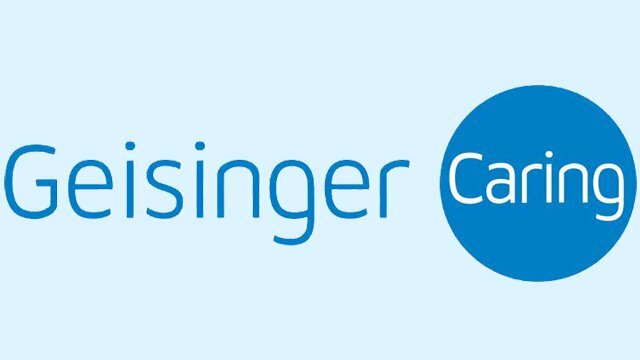 “This accreditation underscores the commitment Geisinger has to continuing high quality, ethical research practices and the strong desire we have to translate these efforts into practical benefits for our patients,” said IRB Co-Chair Thomas D. Challman, M.D. In today’s global, collaborative research enterprise, organizations increasingly rely on AAHRPP accreditation status to help identify trusted research partners. 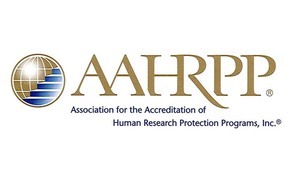 “AAHRPP accreditation standards have earned a reputation as the benchmark for quality human research protection programs,” AAHRPP President and CEO Elyse I. Summers said. 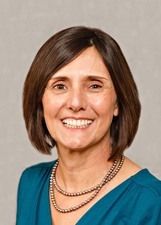 “As a result, we continue to see strong interest in accreditation from organizations across the research spectrum and around the globe,” she said. To date, 227 organizations have earned AAHRPP accreditation. Of these, 32 are located outside the United States. All major U.S. independent institutional review boards have earned AAHRPP accreditation. In addition, more than 60 percent of U.S. research-intensive universities and over 65 percent of U.S. medical schools are either AAHRPP accredited or have begun the accreditation process. Geisinger Health System is an integrated health services organization widely recognized for its innovative use of the electronic health record and the development of innovative care delivery models such as ProvenHealth Navigator® and ProvenCare®. As one of the nation’s largest health service organizations, Geisinger serves more than 3 million residents throughout 45 counties in central, south-central and northeast Pennsylvania, and also in southern New Jersey with the addition of AtlantiCare, a National Malcolm Baldrige Award recipient. The physician-led system is comprised of approximately 30,000 employees, including nearly 1,600 employed physicians, 12 hospital campuses, two research centers and a 510,000-member health plan, all of which leverage an estimated $8.9 billion positive impact on the Pennsylvania economy. Geisinger has repeatedly garnered national accolades for integration, quality and service. In addition to fulfilling its patient care mission, Geisinger has a long-standing commitment to medical education, research and community service. For more information, visit www.geisinger.org, or follow the latest Geisinger news and more on Twitter and Facebook.